Much like how your business evolves over time, so should your website. And it’s not merely a case of new and more exciting web design trends, or the latest bells and whistles. In fact, there are many reasons why this is a good idea, and we’ll look at some of them here. Does Your Website Reflect Your Current Business? Your website is a calling card for your business, and at the very least people will check out your site for social proof and credibility before actually engaging you. They will make a value judgment the moment your page loads: is this the place where I can find what I need, or a relic from the 1990s? Your business changes as time goes on. New products, services, people, and focus all need to be featured prominently on your website to give them the attention they need to be profitable. Is your web design stale, not having been updated in years? Take a look at your competition. Feeling envious? You should, as that’s probably where your customers are. Do you engage with website visitors, and are they able to find regularly updated content that reflects your market, and your company’s commitment to the market? If all they see is blog posts from years ago, they will question your authority. If, on the other hand, they are finding quality content, they are far more likely to return frequently. Is Your Website Technologically Sound? Websites are built on software platforms that frequently need updates. If you have a CMS system such as WordPress powering your site, you know this is the case. Maintaining your website is important for several reasons, such as keeping you from getting hacked, protecting your customers’ vital information, and offering the best user experience available to your visitors on a daily basis. Your pages may load slowly, costing you the very visitors you are working so hard to acquire. You may not have a robust mobile presence, a very bad sign these days when more than half of all search is originated on a mobile device. Do your web pages reflect an effort to engage with your visitors in social media? This is, in all likelihood, where a major portion of your audience hangs out, and the lack of social media functionality is less than ideal. Are your landing pages and opt-in technology up to date? You could be losing valuable business if your competition serves them better. What worked years ago is not what your market demands now. Google has a gaggle of ranking factors (that change frequently), which determine your page’s spot in in the search results. This is vital to keep up on, for if your pages aren’t easily findable in the results, they may as well not exist. Many times, this entails simply injecting fresh content into your pages. Google prefers relevant, timely content. If a visitor arrives on your page and is presented a video or text from 2011, it prompts them to flee to somewhere they can find more up-to-date information. And don’t think you can get away with this by simply removing all dates: stale content has a distinctive odor. Moreover, by having content that shows off your expertise and grasp of the current market, it will emphasize your authority both in the eyes of Google and consumers. Creating fresh, authoritative content will help on many levels, not the least of which is the acquisition of incoming backlinks to your pages. Backlinks are still a major ranking factor in getting your pages found in search for their primary keywords. Far and away the best method for getting these backlinks is through the use of top-notch content that is shared widely, thus acquiring links naturally. Google loves this, and will reward your page for it. Consider asking your current customers for feedback on the web design. What they would like to see, what could be more functional. These are the opinions that matter: the people actually spending money in your business. Not only is this tremendous feedback you can use to improve your web design and ultimately your bottom line, it also serves to solidify customer loyalty and make it more likely you’ll get referrals from them. You may be thinking that undertaking an ongoing initiative to constantly be tweaking your web design is a never-ending, expensive task. Two things about that. One: you’re right, it is not going to end if you want your business website to be relevant in your market. Two—and this should free you up somewhat: it is a cost of doing business, and you don’t have to spend thousands a month to keep your website fresh. 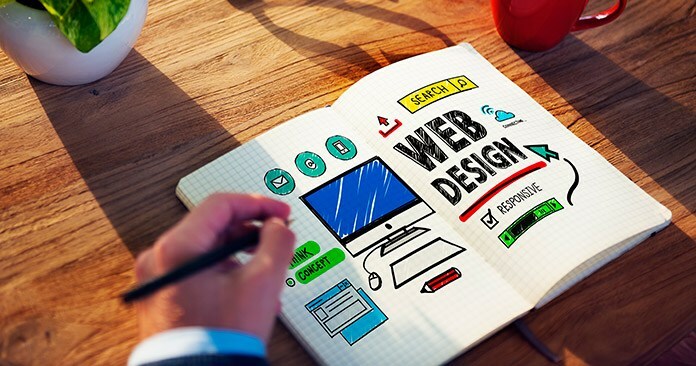 If you would like to talk about optimizing your Web design so that it is serving your local business needs, please call us today at (623) 521-1418 or contact us directly.